Below are two articles showing our government continuous unconditional support of Zionism. 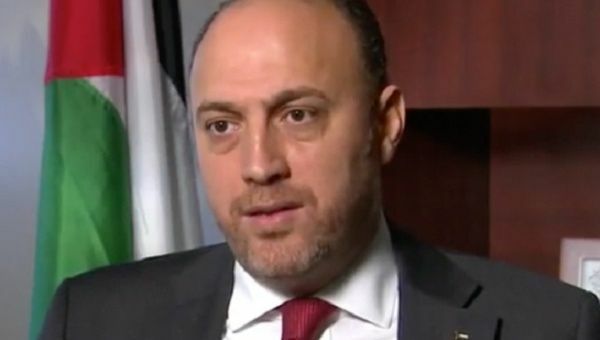 The United States, in yet another attempt to force the hand of Palestinians, expelled the Palestinian Ambassador to the U.S. Husam Zomlot. The family’s bank account has also been frozen. This came few days after the U.S. State Department ordered the closure of Palestine Liberation Organization’s embassy in Washington. WASHINGTON — A massive spending bill, which would deliver $3.3 billion dollars in military aid to Israel over the next year, passed the House on Wednesday under cover of a media blackout. The U.S. Senate had passed a different version of the same bill in early August, a vote that also went largely unreported.Now, after the House’s passage of a slightly altered version of the Senate’s spending bill, officially titled the “Ileana Ros-Lehtinen United States-Israel Security Assistance Authorization Act of 2018,” all that remains is for the two chambers of Congress to reconcile their versions before the product is sent to President Trump’s desk to be signed into law. According to Skopos Labs, the bill now hasa 90 percent chance of being enacted. If enacted, the bill will be the largest aid package in American history.As MintPress previously reported, $3.3 billion was supposed to be the annual limit for U.S. military aid to Israel. However, the figure is actually set to be higher this year as a result of Congress’ recent passage of a massive $716 billion defense bill that provides an additional $550 million in U.S. aid for Israeli missile defense systems. That defense bill also authorizes an additional $1 billion for U.S. weapons stockpiles in Israel.Furthermore, the $3.3 billion in annual aid is set to continue for the next decade based on the current text of the bill and the 2016 Memorandum of Understanding between Israel and the Obama administration — totaling over $38 billion over the next decade when accounting for annual military aid and annual aid given specifically to fund Israeli missile defense. In addition to the massive sum the legislation would give to the Israeli military, the bill would also mandate that NASA closely cooperate with the Israel Space Agency (ISA), despite the latter’shistory of espionage targeting NASA. The massive amount of aid the U.S. government is set to give to Israel comes amid Israel’sunprecedented crackdown on unarmed protesters in the Gaza Strip and a looming Israeli military operation aimed at “conquering” the Palestinian enclave. The aid package’s imminent package is also set to coincide with efforts to annex the vast majority of Palestine’s West Bank, which has been militarily occupied by Israel since 1967. As MintPress noted in a previous report, such grave violations of human rights would normally prevent the U.S. government from providing aid to Israel, given that the Leahy Laws enable the U.S. to withhold military assistance from units and individuals in foreign security forces if they have committed a gross violation of human rights. However, the U.S. government – particularly under the rabidly pro-Israel administration of President Trump, which just last week cut all funding for Palestinian humanitarian relief through UNRWA – has consistently shown that it is willing to bend the rules for Israel. According to the text of the bill – officially titled the “Special Envoy to Monitor and Combat Anti-Semitism Act of 2017” – the envoy would “serve as the primary advisor to, and coordinate efforts across, the United States government relating to monitoring and combating anti-Semitism and anti-Semitic incitement that occur in foreign countries,” and have the rank of ambassador. Onlytwo members of the House voted against the bill: Rep. Justin Amash (R-MI) and Rep. Jerry McNerney (D-CA). While an effort to combat “anti-Semitism” is a noble cause, the recent endorsement of acontroversial definition of the term by Congress, which defines certain criticisms of the state of Israel as anti-Semitic, makes it likely that any envoy appointed to this position would be focused on clamping down on domestic and international criticisms of the Israeli government. Given the potential dangers that such a position could pose to free speech, not just in the U.S. but abroad, it is surprising that this bill’s passage by an overwhelming majority received next to no media attention. Yet, in light of the media blackout also surrounding the imminent approval of the U.S.’ massive aid package to the Israeli military, it is perhaps not so surprising. Absolutely maddening that the government would use the funds “to enhance” programs in Israel. The USA is clearly owned by 1srae1 and the government doesn’t even try to hide it anymore. Shameful — for those with a working conscience.